BJJ is an art of self-defense which focuses on ground techniques. The goal of the art is to enable the practitioner to defend without causing harm to himself or the opponent. For this reason, BJJ is safe to practice in a realistic way, with full contact and with full resistance from the opponent. BJJ stands out from the other martial arts in that the techniques do not depend on strength, speed, or flexibility but instead on a deeper understanding of bio-mechanics and timing. Originally developed by the Gracie Family in Brazil, BJJ is recognized as one of the most important arts worldwide. We welcome people from all over to help us spread this art in India. If you’d like to take the first step, please email us at bjjindiaarun@gmail.com, or call +91 8826166516 to schedule a Free Introductory Private Lesson. BJJ can be practiced at any age. At BJJ India we sweat, laugh, train, wrestle and roll together. We not only develop our student’s self defense skills but also their social intelligence and train them to look at any situation with a positive attitude and be in control of it. Every class is a learning process for both the instructors and the students in this beautiful journey of Jiu Jitsu. We believe any form of art once practiced with all your heart becomes a way of life. It makes practitioners to look deeper into their lives and help them bring out the best in themselves by discovering the fundamentals of life. Martial Art is a Journey that brings people together and requires humility, dedication, awareness, and sensitivity. We offer an extensive training schedule with a wide variety of classes that allow students to train according to their lifestyle. Students can choose to attend classes for simply fun, fitness and self-defense or embark on an intensive training regime for competing in MMA or BJJ tournaments. Our curriculum is designed to develop a solid base of fundamental skills, while ensuring that students are continuously learning and growing as martial artists. Apart from self defense & combat, BJJ is taught and used by various military and law-enforcement groups as an effective way to manage & subdue assailant without having to resort to weapons and striking rather grappling and ground fighting. 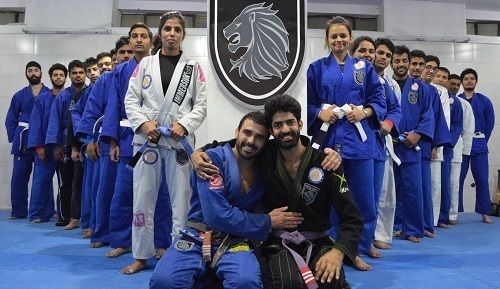 Arun Sharma introduced Brazilian Jiu Jitsu to India. 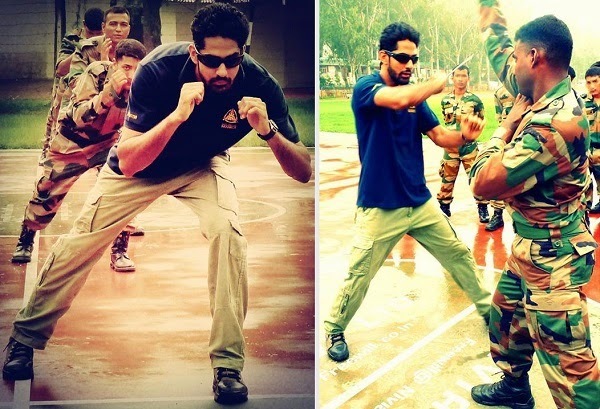 He has taught Indian Army, NGS, Indian Special Forces, Para Military Units, Seychelles Special Forces & Various other Law Enforcement Agencies. Apart from training these elite military organizations, Arun along with his team promote Women's Empowerment & Safety and teach children to make them Bully-Proof. They travel & teach all across India. Several Self Defence & Empowerment Workshops have been held by him in corporate firms like Pepsi Co., Ernst & Young, HCL, GAIL India, Headstrong, Genpact & in Educational Institutions like DPS, Thappar University, Delhi University & various other schools & colleges.